Get the PLDT Home Prepaid WiFi service now! P495 na cashout lang. Easy hulugan at P370 for 6 weeks. 1 Click on the apply button to sign-up and create your Lendr account. 3 Fill out the application form and wait for loan approval. 4 Once your loan is approved, you will get a call from Cash Credit (the loan provider) and you will receive your Digital PIN (DPIN) thru SMS. 6 You will receive an SMS message from Cash Credit with your account number and instructions on how to pay the P495 cash out for the service. 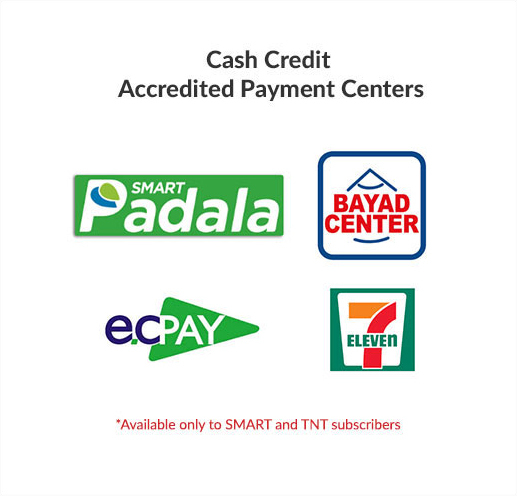 7 Pay the P495 cash-out via any of Cash Credit’s accredited payment centers within 5 calendar days. 8 Once the said amount has been paid, the Home WiFi Prepaid modem shall be delivered to your provided address within 7 working days). 1 You can pay for your P370 weekly amortization within 6 weeks via Cash Credit’s accredited payment centers. 2 You will receive an SMS a day before your scheduled due date as a reminder on the payment. Open to Smart and TnT customers only. The Terms of Conditions of Cash Credit shall apply to the loan. The loan shall be between the customer/owner of the Home WiFi Prepaid Service and Cash Credit.